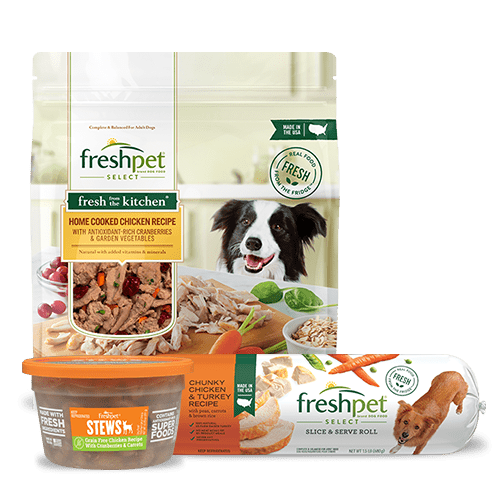 Freshpet Food: Which Ingredients Use in Freshpet Food? 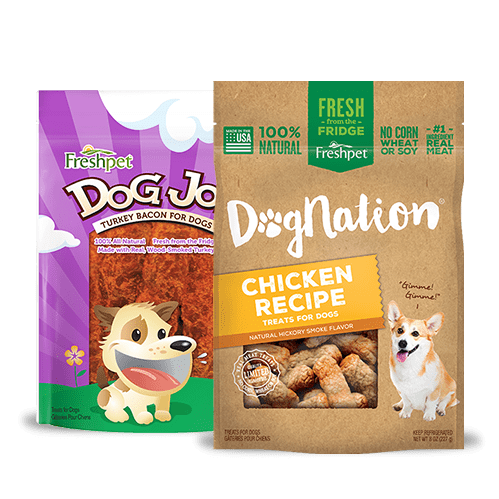 Which Ingredients Are Used in Freshpet Food? Freshpet follows a simple nutritional philosophy: if you we are eating healthy, why shouldn't our cats and dogs eat healthy too? 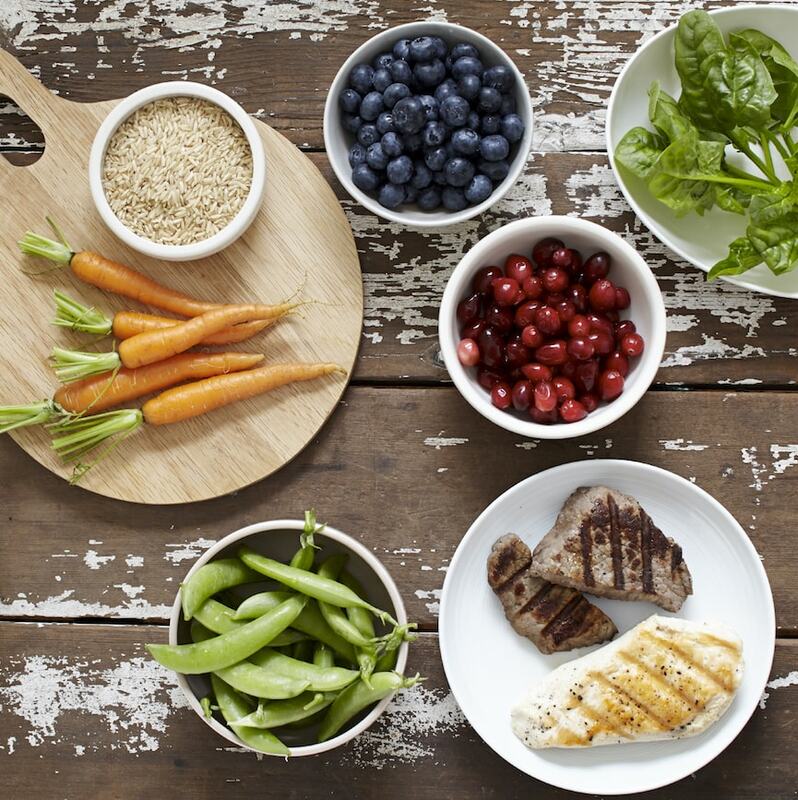 Freshpet uses only the healthiest ingredients to ensure a balanced healthy diet for your furry friends. All the ingredients used in Freshpet food products are farmed locally. This includes vitamins and mineral-rich fresh meats, poultry and vegetables. 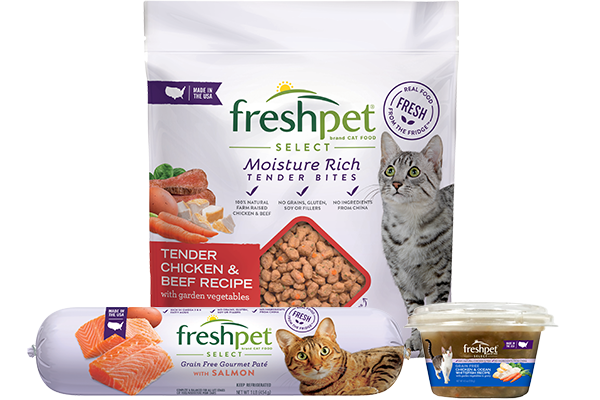 At Freshpet, we use fresh beef, chicken, lamb and salmon. 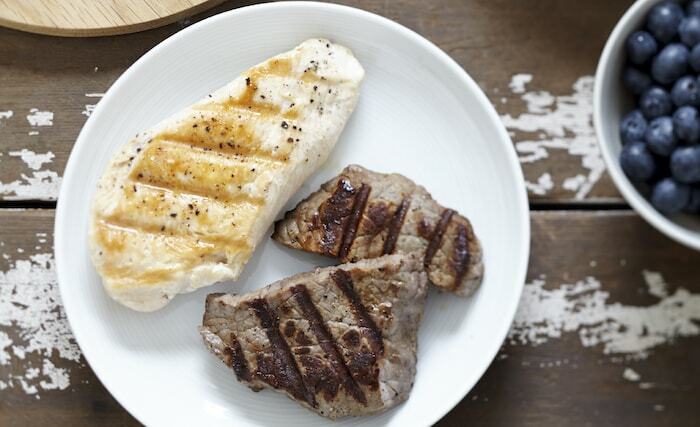 Rich in protein, amino and fatty acids and minerals, these meats help with muscle development, organ function and energy. Our chicken products are rich in Vitamin A, D and B, while our beef, lamb and salmon products are full of Vitamin B12 which is essential to the growth of red and white blood cells. 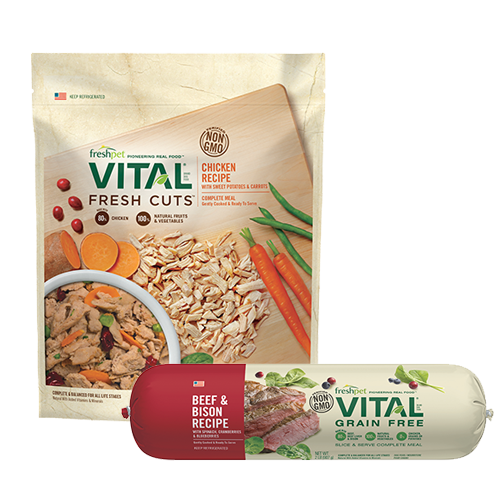 Note: To retain all the energizing nutrients, Freshpet does not pre-cook its meats. 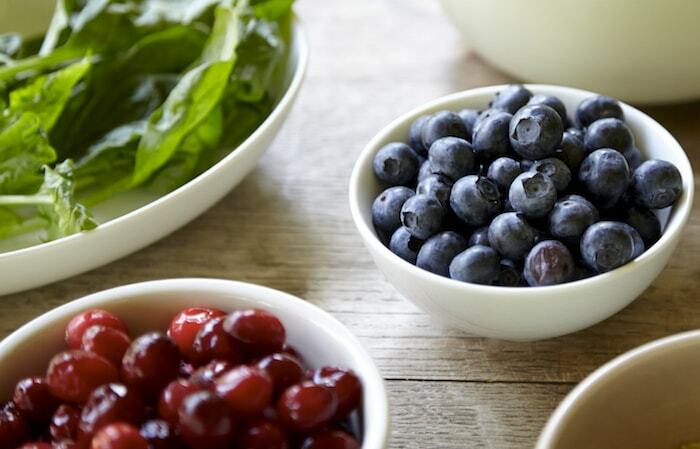 There is no denying the nutritional value of fruits and vegetables. That is why we add fruits and vegetables to all our natural dog and cat foods. Fresh carrots, peas, and leafy greens like spinach, are all added to create different flavors and varying amounts of fiber. Some Freshpet food recipes also contain cranberries and blueberries, which act as antioxidants, protecting your pets from several diseases. A high fiber diet helps relieve constipation, maintain a healthy weight and lower the risk of heart diseases. 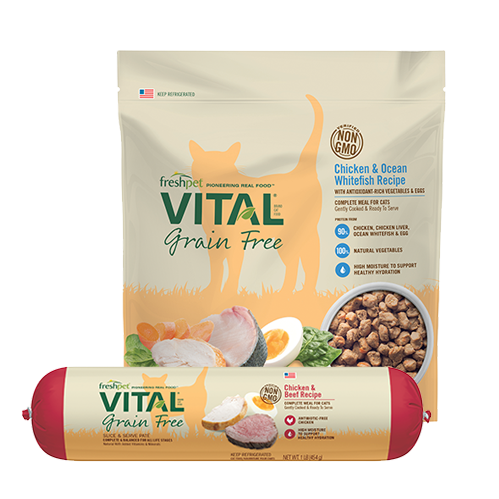 At Freshpet, we understand the importance and benefits of a high fiber diet. 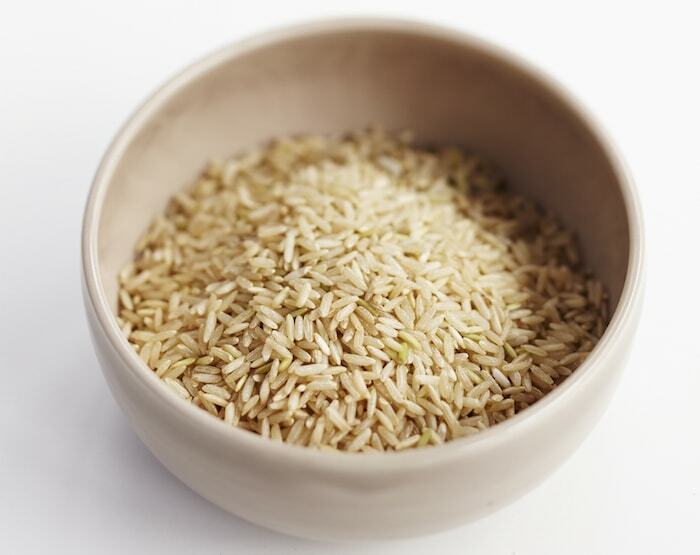 Which is why, we offer recipes that contain only (deleted statement not true) high-fiber grains, such as brown rice, oats and barley in small quantities. 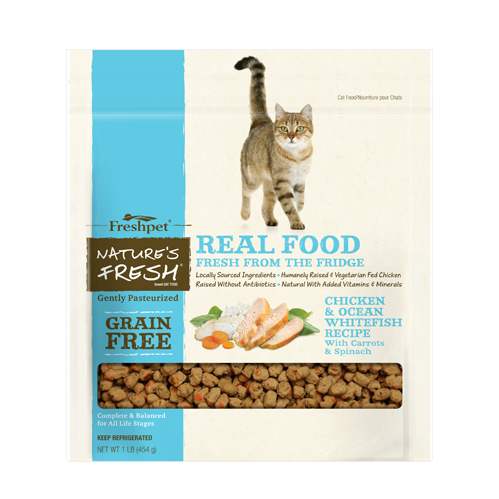 Note: Freshpet never uses wheat, wheat gluten or corn. We consider these to be low in quality and a cause of common allergies in pets.. I have 2 dogs. A 9 year old finicky standard poodle and a 14 year old teckel/jack Russell mix. Both love and thrive on Freshpet. 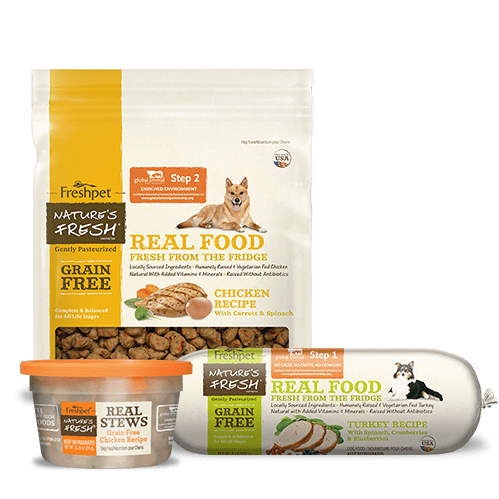 The 14 year old gets his thyroid meds 2x a day pushed inside a Dog Joy treat.Thank you Freshpet for your healthy fresh food and for all that you do to help my for babies live long healthy lives.